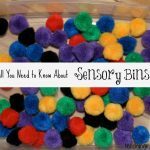 We recently tried a new sensory bin out and it was LOADS of fun! 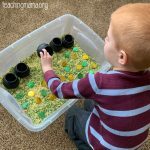 Usually we use beans, rice, or sand for a sensory bin filler. 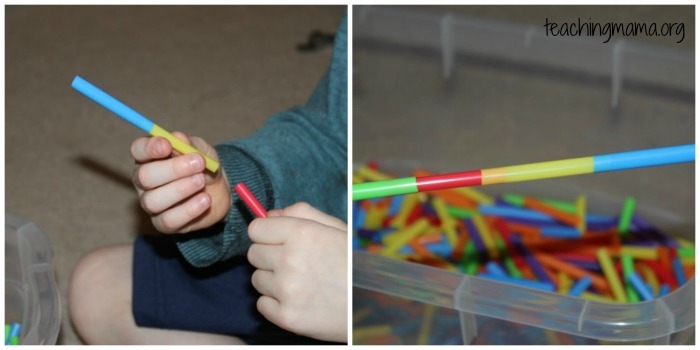 This time we used plastic drinking straws! It was easy, cheap, and colorful. 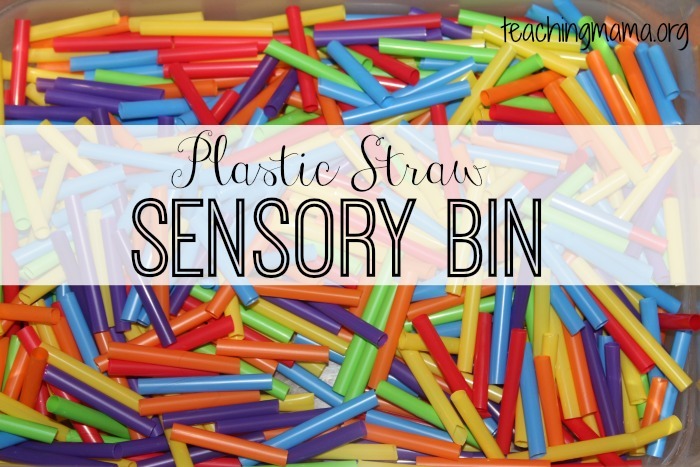 All you need for this activity are colorful plastic drinking straws and a bin. I found a HUGE bag on clearance at Target (for around $2). I also gave my preschoolers kid-friendly scissors, rope for threading, cups, and tongs. Just running your hand through the bin is fun! It feels neat and it makes a unique sound. Even my 6 month old got in on the fun! 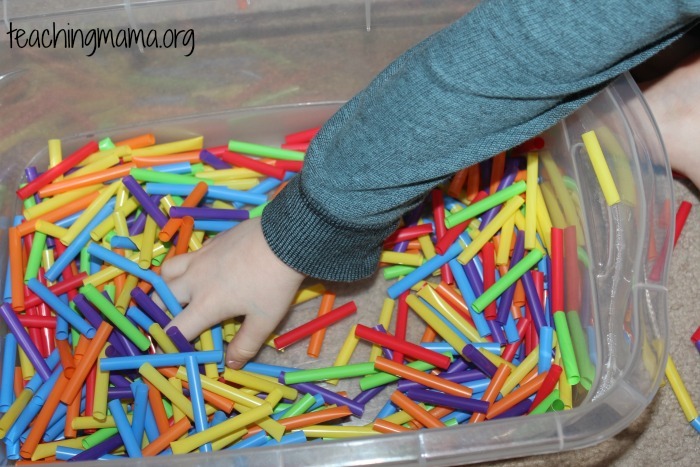 He loved splashing his hands in the straws. 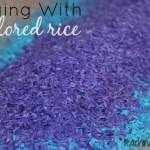 It was his first sensory bin experience. 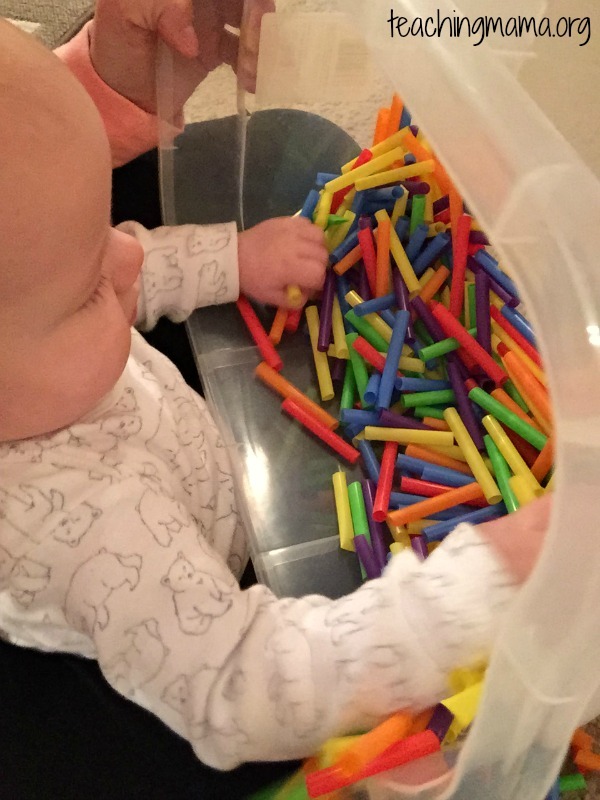 Since he doesn’t sit on his own, he sat in my lap and I tipped the bin up so he could reach the straws. He loved it!! 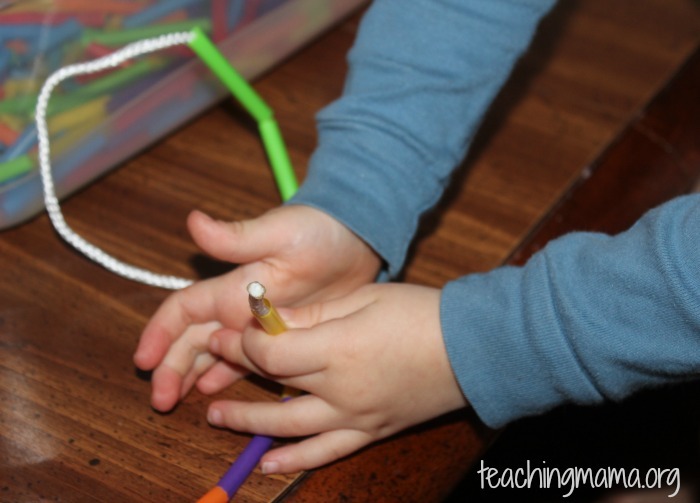 My three year old enjoyed threading the straws on the rope. To prepare the rope, I tied one end in a knot and the other end I burned with a lighter (ahead of time!) so it wouldn’t fray. 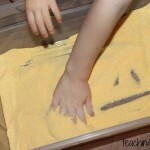 This was great practice for fine motor skills! 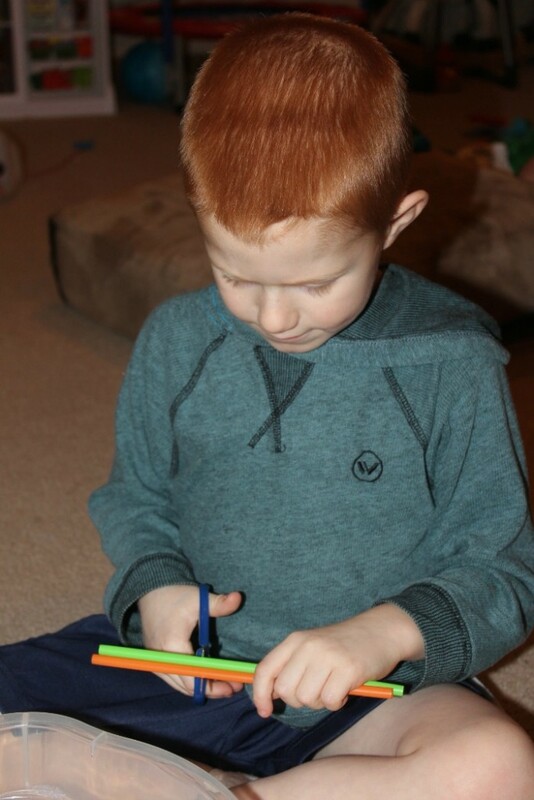 My 5 year old really enjoyed cutting the straws with scissors. I gave him a bunch of long straws to cut into smaller pieces. He thought it was the greatest thing ever! 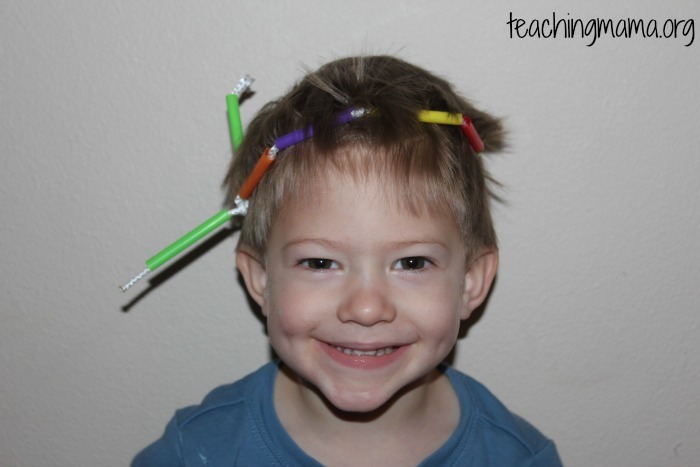 My 3 year old tried cutting straws, but it was difficult for him. 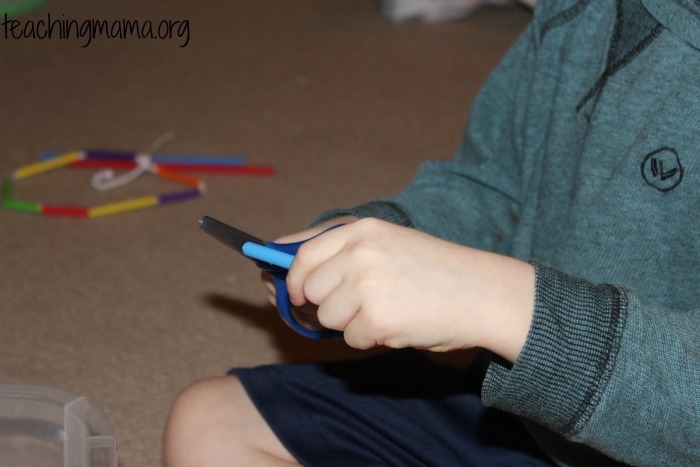 I remember Troy having a hard time with scissors at this age, so it’s awesome to see Troy using scissors so well now. 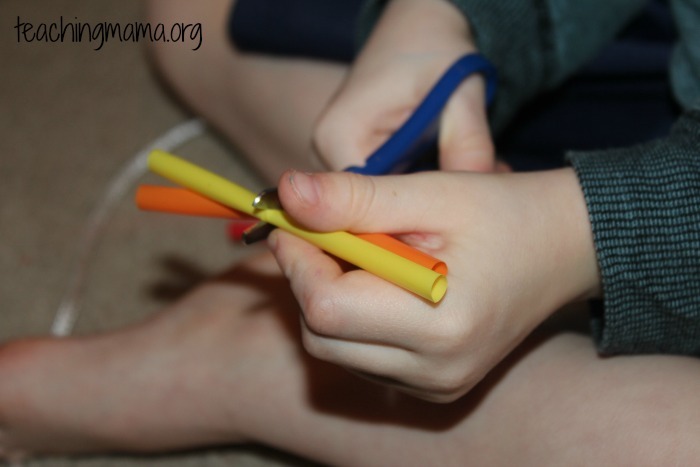 We also had fun poking the straw pieces together to make “lightsabers” (as my kids would call them!). 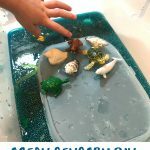 As you can see, there are different ways to play with this sensory bin. 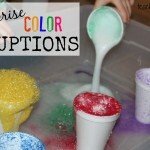 These were just a few ways we played with it, but there are other ways we can still try out! 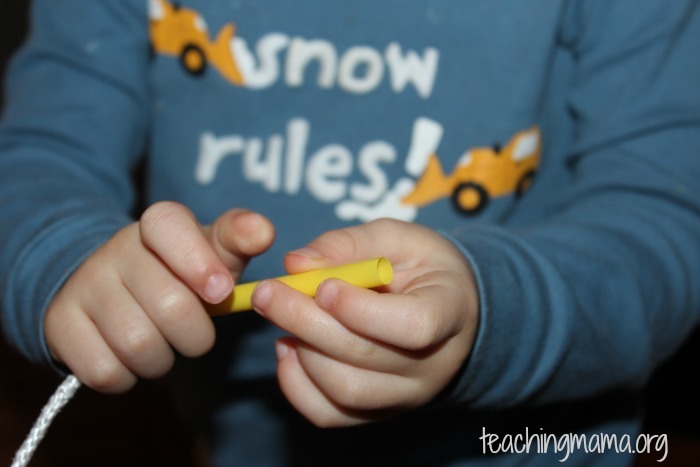 We’re keeping this one out in the playroom for more fun play! This was day 23 of the 31 Days of Play Series. To see all the activities, visit here.